Creationist publisher Illustra Media is about to release the final DVD in their Intelligent Design trilogy. 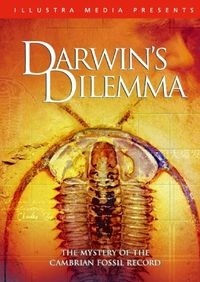 This last volume, Darwin’s Dilemma, shot on four continents, examines the Cambrian Explosion, and supposedly unfolds like a mystery. Cool. Their other DVD’s have been on my wishlist for a while now, just haven’t gotten to them (I do have Privileged Planet, which I liked). But I have to say, Ben Stein’s Expelled is still one of my favorite ID documentaries – it shows very clearly how questioning evolutionary orthodoxy is dangerous to students and budding professors who want to keep their career hopes in science.